College of Mechanical and Electronic Engineering, Shandong University of Science and Technology, Qian Wangang Road No. 579, Qing Dao, Postcard: 266590, China. 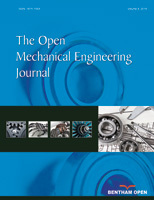 This paper mainly designs a device for improving setting load of hydraulic support. The device could enhance the pressure of bottom cavity of the stand column in hydraulic support, decrease the late bearing time of stand column of hydraulic support, shore the roof of coal face effectively, prevent the roof fall caused by separating the roof of wall rock untimely from the layer, and ensure the safety production in the coal facing, with the circumstance that the structure of liquid valve bank of hydraulic support isn’t changed and that it has no influence on the normal working of liquid-inlet and rising support. The device using the techniques of hydraumatic and machinery, of which the structure is simple, safe and reliable, is convenient for the work at the underground coal mine. Through the simulated analysis for hydraulic circuit of hydraulic support and the field test, the hydraulic system of hydraulic support is stability with no larger vibration and has a better effect on pressurizing, after using the device. So, the automatic pressure control device to setting load has good popularization and application value.